Google’s Street View got its name because in its early days all of the imagery was captured by cameras perched atop cars. 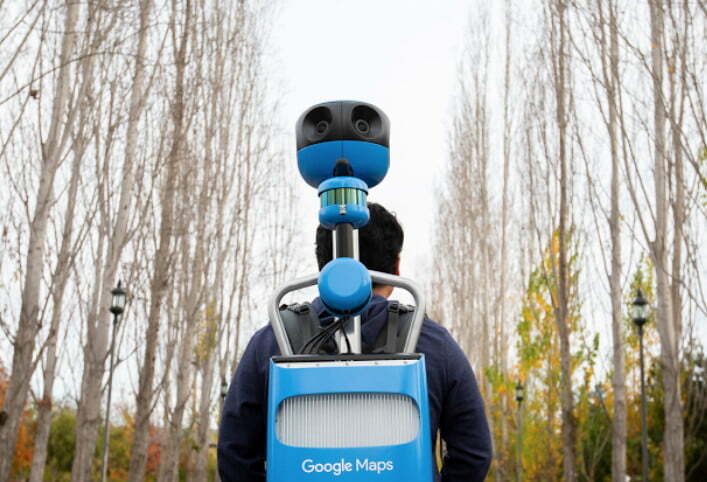 And while Google continues to photograph the view from the street, these days the company is also keen to gather 360-degree imagery of places where its cars can’t go. Think Grand Canyon, Machu Picchu, Westminster Abbey, or the inside of the world’s largest passenger plane. For projects like these, Google uses the so-called “Trekker,” which is basically a camera rig that’s worn like a backpack. Google lends the Trekker kit to various organizations around the world that are keen to get imagery of their own cultural gems onto Street View. This week, Google unveiled a brand-new design for the gear after listening to feedback from folks who’ve been using it out in the field. The main issue with the original kit was its weight, hardly surprising considering it tipped the scales at a body-aching 44 pounds (20 kg). With that in mind, Google has come up with a sleeker, lighter (though it doesn’t say how light) design, making it more comfortable to wear for longer periods of time while out on a shoot. The image on the right shows the old Trekker alongside the new one, which we can see is shorter and includes a smaller camera housing. The base, however, appears to be a little bulkier than the original. And if you’re a sofa loafer who likes to hit Street View for the occasional virtual vacation — whether it’s to explore the natural beauty of Greenland, climb Western Europe’s highest mountain, or visit Argentina’s stunning national parks — you’ll be pleased to learn that the all-important camera has been updated with improved sensors for even sharper imagery. Like previous versions of the Trekker, the new design can also be fixed to trikes, trolleys, boats, snowmobiles, and even ziplines. Street View launched in 2007 and features an enormous amount of content from around the world, some of it is admittedly a little bizarre. Interested in contributing to the ongoing Street View project? 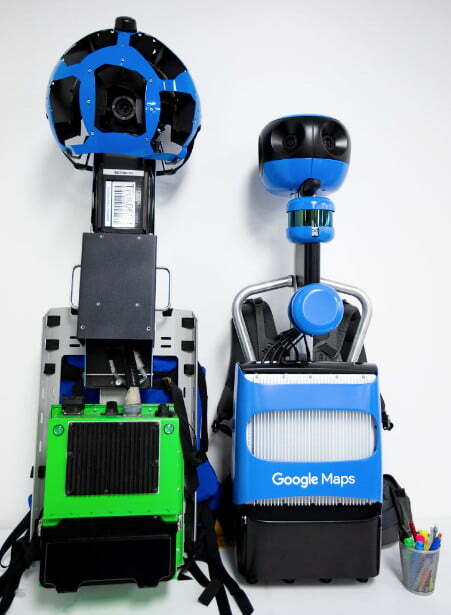 Google welcomes applications from organizations to use the Trekker to capture imagery for the mapping tool.